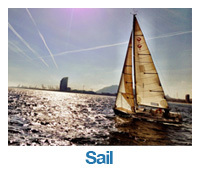 ocean oral exam | MT Sail & Power RYA courses. The Examiners task is to give the candidate the opportunity to show that: 1. He is capable of planning all aspects of an ocean passage in a yacht, 2. He is capable of managing a yacht and her crew on an ocean passage, 3. He is capable of navigating a yacht during an ocean passage with or without electronic aids to navigation in both Northern and Southern hemisphere. For planning purposes, two hours should be allowed for the examination of each candidate. Exams should generally take 1½ hours. The candidate will be required to send to the examiner evidence of completion of a qualifying passage (for definition see G15) and the planning, reduction and plotting of a set of sights consisting of at least a sun run meridian altitude and a compass check by the azimuth of the sun, moon, star or a planet, to reach the examiner at least two days before the exam. The Examiner will cover voyage planning and yacht / crew management by oral question and answer and will verify the candidates navigational ability by inspection of the navigational work carried out at sea. 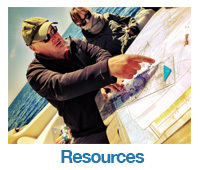 If a candidate does not hold a certificate of satisfactory completion of the Yachtmaster Ocean Shorebased Course the Examiner will invigilate and mark a 1¾ hour written paper. Questions should generally be related to the candidates qualifying passage but may be extrapolated to refer to longer voyages. The candidates qualifying passage may have been a bare 600 miles, the examiner must find out if the candidate is capable of an ocean crossing. Questions should relate to the type of yacht with which the candidate is familiar. 1. Voyage Planning a) Selection of suitable yachts for ocean voyages. Relate the type and size of yacht to the crew and the length and hazardousness of the voyage to be undertaken. b) Crew selection. The need for compatibility between crew members, matching personal strengths and weaknesses. Disabilities and medical conditions which would make it unwise to undertake a long voyage c) Pre sailing checks on material condition of yacht, including hull, rigging, engine, electrics and fittings checks. d) Spare gear required (including tools), for hull, rig, engine and electrics. e) Navigational passage planning. Sources of information to decide strategy. Route selection. Estimating passage time. Navigational equipment (electronic and manual). f) Fuelling and victualling, including provision of fresh water. How to estimate quantities. g) Emergency planning. Equipping with distress alert, location and lifesaving equipment. h) Electrics. Methods of charging batteries. Battery capacity and electrical services. i) Communications equipment. What is available, capabilities and limitations. Equipment for receiving weather information. j) Medical planning, availability of suitable courses. 2. 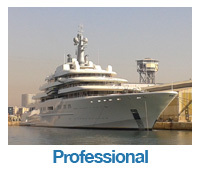 Management of Yacht and Crew a) Crew organisation, delegation of responsibilities and watch keeping organisation. b) Crew morale  how to keep it as high as possible. Crew health and hygiene. c) Monitoring consumption of fuel, food and water. d) Monitoring electrical supplies, battery capacity and electric consumption. e) Routine equipment checks and maintenance. Precautionary replacements. f) In sailing yacht, planned use of engine in calms. g) Use of weather reports and forecasts. h) Heavy weather. Avoiding adverse strong winds. Preparations for very rough weather. Rough weather survival tactics. i) Tropical Revolving Storms. Warnings, by radio and observation. Tactics on approach of a TRS. j) Emergency repairs. Jury rigs. Repairing storm damage to hull. Jury steering. k) Survival. Use of liferaft. 3. Navigation a) Use of electronic navaids. b) Navigation by sextant. Relate to candidates work carried out at sea. D. THE PASS/FAIL DECISION In the oral part of the exam there are very few absolutely right or totally wrong answers. The aim of this part of the test should be to find out if the candidate has thought about the many aspects of voyage planning and yacht and crew management for which the skipper is responsible. The candidates views on many of the subjects in these sections may be totally different to the Examiner’s but they may still be perfectly workable. The easiest way for a candidate to fail in these sections would be for him/her to show that he/she hadnt really thought about the problem until the Examiner asked the question. A failure might also result form a candidate showing a totally cavalier attitude to the safety of yacht or crew. The fact that a candidate has skippered a yacht on a long voyage is not necessarily an indication of competence, he may have succeeded by having luck on his/her side or the crew may have sailed the boat in spite of the skipper. That is what the oral part of the exam aims to discover. In section3, the Examiner must go through the candidates navigation in detail. Unacceptable errors, which should cause failure, include: a) Major repeated errors in principle, whatever the resulting displacement in a position fix. These include true bearings wrongly deduced from azimuths, intercepts plotted in the wrong direction, plotting from EP instead of from a chosen position. b) Errors which result in a displacement of a fix of such magnitude that a check should have been carried out to detect the error. c) Failure to establish a position. d) Compass checks wrong by more than 5º.